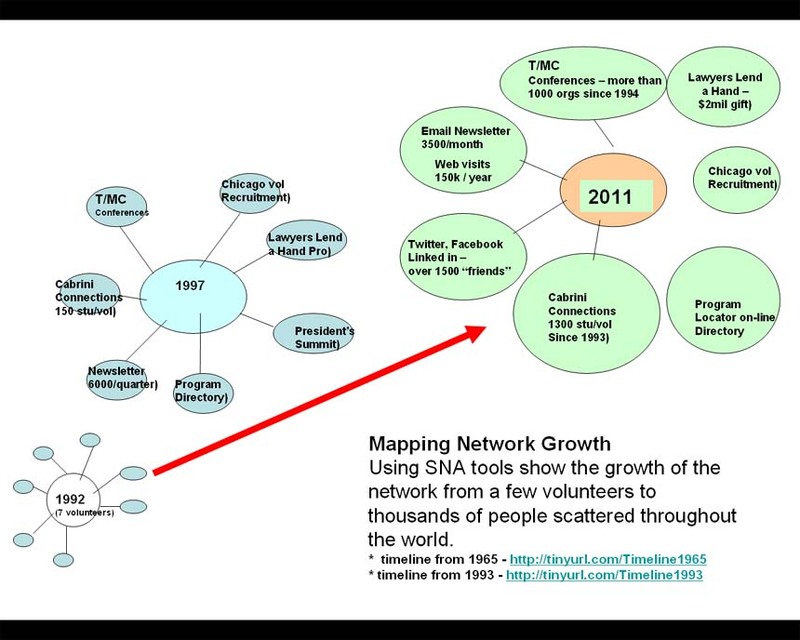 This graphic illustrates the growth of my network since October 1992. At that time there just seven volunteers created Cabrini Connections, Tutor/Mentor Connection. However, as this timeline shows, I had been building a network since 1973. What I've not been able to do is show the growth of this network, nor show what people and organizations have helped in the past, or are helping now. This article is a list of people and organizations who help in the 1990s. Now I'm preparing to launch the Tutor/Mentor Institute, LLC, using the ideas we've been sharing on this site for over 12 years. 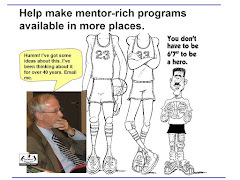 Through the Tutor/Mentor Institute I'll continue to fund the web sites that support the Tutor/Mentor Connection and I'll continue to host conferences, one-on-one consultations, and on-line meetings and forums. My goal is to attract revenue from more than philanthropy so that the tools and services we build can have greater impact on the growth of tutor/mentor programs than we have been able to provide in the past due to lack of revenue and leadership support. While many people have offered encouragement and some are more involved in helping me with this transition, I don't have a good way to visualize this, or to connect the people who are helping to each other. 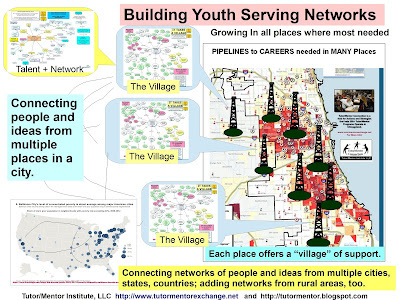 I've been using concept maps to illustrate the range of people and organizations who need to take ownership of the ideas I've been sharing and how I've created the Tutor/Mentor Institute, LLC to support the growth of the Tutor/Mentor Connection in Chicago as well as similar groups in other cities. This map is my first effort at showing the goals of the Tutor/Mentor Institute. 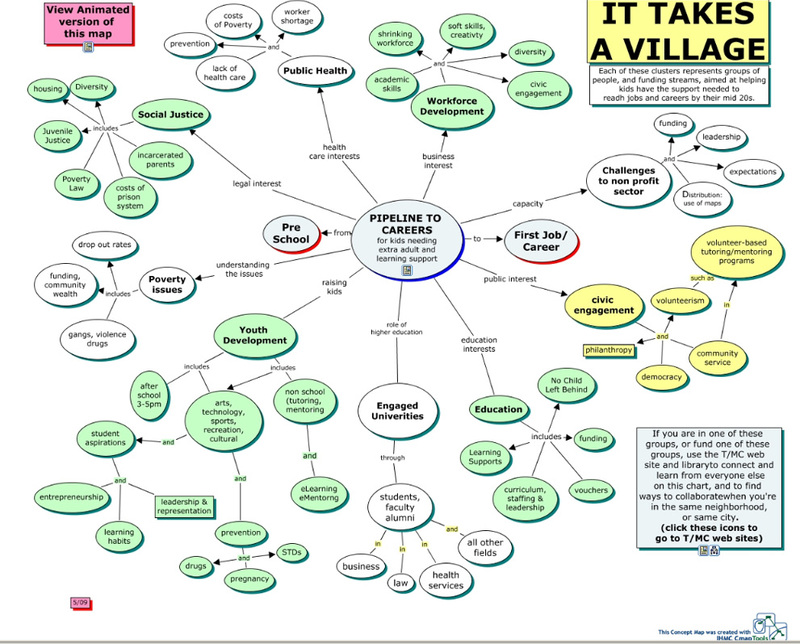 Today I'm working with a new concept map that illustrates the range of talents I need, and points to groups where I'm connected to people with that talent, as well as to some people who have stepped forward a bit to help me recently. If you've been helping me already your name may show up in one of the nodes on this chart. If it's not there and you want to add it, just join one of the groups on the Tutor/Mentor Connection forum and take an active role, or join the Tutor/Mentor Institute Facebook group. There is much to do and too many holes not yet filled on the talent chart. If you share the vision and want to take some ownership, please connect with me.